Hob Nobs - one nibble and you're nobbled. They are not kidding. 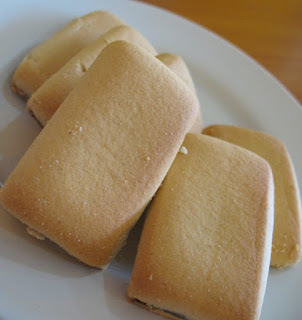 Hob Nobs were one of my staple foods when I was a student (along with Bachelors Savoury Rice and a tuna and pasta concoction that we called "Tuna Splat"). I could eat a pack of Hob Nobs in a single sitting at 11:30pm after last orders at the local pub, washed down with a cup of Yorkshire Tea. It's been years since I have been nobbled. 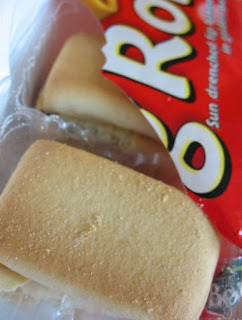 Maybe you can find a Hob Nob in Thailand somewhere, but I'm not going on a mission to find them. You just have to let go of the past sometimes. However, sometimes you can't help but reminisce. 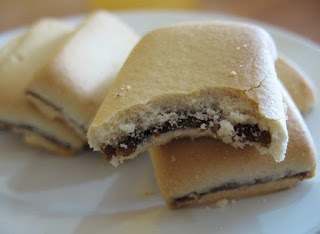 I wrote a little blog article about English food recently, mentioning my love of bacon, eggs, chips and beans and also mentioning such delights as Fig Rolls and Hob Nobs. Well, someone brought me some Fig Rolls not long ago (Thanks Adam!) (see: Thanks for the Fig Rolls), and now.... I arrived at work on Sunday to find 2 packets of Milk Chocolate Hob Nobs on my desk. A total mystery. No note, no name... our accountant said an "older" English couple had brought them... Thank you! Who are you? 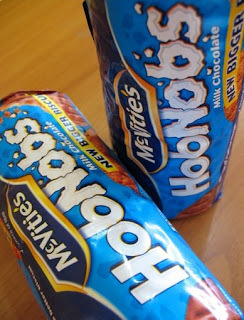 Peter Kay says the Hob Nob is like the SAS of biscuits... All hail the Hob Nob! Endless football nerd fun. The BBC website has a Premier League Predictor - you can fill in your predicted results for all remaining games this season and the table updates to create your predicted final standings. Then if the table doesn't turn out quite as you'd hoped you can endlessly change results to ensure that Liverpool do win the league (hint: they can't lose any games and hope that the other Big 3 slip up several times). After playing around a while I ended up with the top 4 seperated by just 2 points. There are a bunch of key clashes coming up with the Big 4 all playing each other. It really is a 4 horse race this year (well, maybe 3 and a half). My final table says goodbye to Derby, Bolton and Fulham, but (aside from Derby) there are 6 teams at the bottom seperated by 5 points, so again, it's all to play for. Happy Predicting! "I sometimes get cravings. I went through a Branston craving a couple of years ago. Any family member or friend visiting Phuket was asked to bring more Branston. I recently had a pickled onion craving too. And I must say a packet of chocolate Hob Nobs would be most welcome any time. Thanks to the web site Nice Cup of Tea and a Sit Down for reminding me of Hob Nobs. 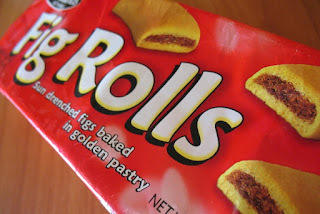 Oh and Fig Rolls, mmmmm. Damn, can someone send me some Fig Rolls? Wish I hadn't thought about that now. Got another craving." To my great surprise I had a Facebook message from a guy called Adam offering to bring me some fig rolls and sure enough a couple of days ago he called in to the Sunrise Divers office to say hello. Thank you! You are a star! Can I just add that I miss English money, so if you have any spare 50 pound notes, they'd be much appreciated. Or a can of Spitfire Beer, or some licorice comfits or licorice allsorts or any licorice at all really.